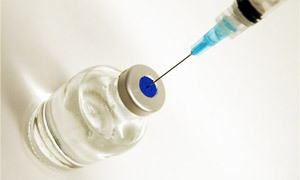 In the world of drugs and medicine, few subjects are probably more controversial than steroid injections. 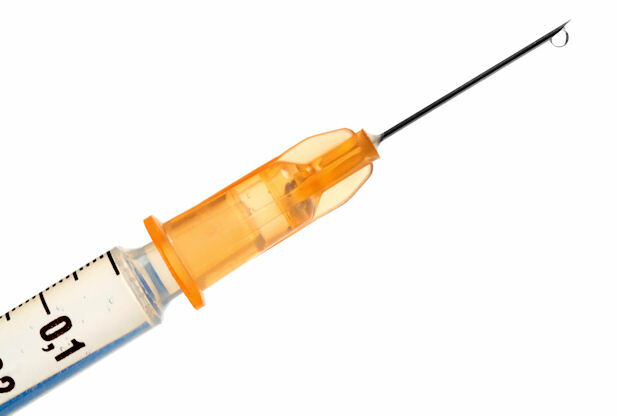 We take a look at how best to inject anabolic steroids and remain safe. This is probably also why the subject is also one of the most misunderstood. There could be any number of reasons, you’re curious about injecting steroids. You may want to look better, replace lost muscle mass from aging, up your overall strength, decrease rehabilitation time, just to name a handful of popular reasons. 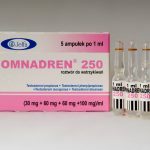 However, if you listen to most people outside the anabolic steroid community, you’d be forgiven for thinking this helpful drug would cause nothing but problems. The next time you hear someone talk about steroids and mention injecting them intravenously, you can rest assured this person is no expert. Injecting anabolic steroids straight into your vein is a good way to end up with pulmonary embolism. Inject too much and you’ll become the victim of a heart attack. Anabolic steroids are actually meant to be injected into the muscle. That’s because the hormone you want to take advantage of is generally suspended either in oil or water. The steroid itself, then, is contained in microcrystals. These traits mean steroids are not safe to go right into your bloodstream. Here’s another good way to know someone isn’t an expert on—or even remotely familiar with—steroids, though some in the community suffer under this misconception too. The belief that air in an injection will kill you seems to come from Hollywood. Many movies feature a death scene where the victim’s intravenous medicine is tampered with to allow an air bubble through. The oxygen travels to the victim’s brain where they suffer from an aneurism and die. The only time air would be a concern like this is if you injected several CCs of mLs of it intravenously. Anything less than that would have no chance of causing a serious aneurism. Plus, as we just mentioned, anabolic steroids don’t go into the veins. Many users actually allow a tiny amount of air into their syringe that sits between the plunger and the steroids. This way, that little pocket of air assures that all the steroid is used and none goes to waste. Again, this is demonstrably false. The one exception would perhaps be testosterone suspension, but that’s it. Anabolic steroids do not come with a localized feature that makes them site-specific. That’s just not how it works. On a chemical level, just about every single injectible anabolic steroid is esterified. This means that the anabolic steroid is bonded to a carboxylic acid (the length of which differs between steroids), with the connection coming at the 17-beta hydroxyl group. Because this represents an ester bond, it’s called esterfication. Ester is used here because it works to prolong the release rate of the hormone as well as extend its half-life. This occurs because the enzymes involved break the ester down, which can take some time. the process happens mostly in the liver, but also in the bloodstream to some degree. Before the anabolic steroid can be released into the body to play its role, the ester must first be broken off. The point is that, when this process finally happens, the steroid is already circulating throughout the body. Therefore, the steroid’s services will essentially get used where the body most needs them at the moment they become available. Because testosterone suspension works without esterifciation, it operates on a localized level. As we covered above, intramuscular injection is the best way to take anabolic steroids as that is what they were designed for. However, they can in fact be injected subcutaneously as well. Furthermore, there is little research showing that doing so will affect how the steroid is processed. Those steroids that do rely on subcutaneous fat tissue for a deposit location will definitely feature a different rate of release, but that’s really about it. That being said, if you plan on injecting anabolic steroids this way, you’ll want to use less than you otherwise would because the oils will be uncomfortably received by the tissue. Subcutaneous tissue simply cannot hold as much oil. As far as abscesses go, there is really only one reason these ever form from steroid use: the injection site has somehow become infected. With these myths behind you, let’s cover some important instructions you need to follow if you plan on using steroids. The first step is to handle all your planning before ever loading up a needle. There is no excuse for sloppy use of these powerful drugs and not having all your supplies ready would definitely fall into this category. Before you start a cycle, you should have rubbing alcohol, pins, syringes and swabs on top of the actual steroid you plan on using. Remember what we just mentioned about abscesses and steroid use? One of the main reasons people end up with those infected areas is because they don’t have all their necessary supplies and end up reusing needle which aren’t sterile. All it takes is one time and you can end up with an infection. Even without an abscess added in to make things worse, you’ll be in for a painful ride. Along those same lines, always inspect your alcohol swabs, pins and syringes to ensure that they are hermetically sealed. If you find anything that doesn’t look right, don’t use them. Hermetic seals guarantee complete sterility. Rips, tears or punctures mean this has been compromised and thus represent the risk of infection. When it’s time to inject, you should never take more than two minutes between loading the syringe and injecting it. That’s because many anabolic steroids contain co-solvents that will actually eat away at the plunger if given more than two or three minutes. If that happens, you’ll be injecting yourself with potentially toxic materials—never good. Hopefully this article has helped you gain a better understanding of anabolic steroids and given you the information you need to learn more about them and their responsible use.